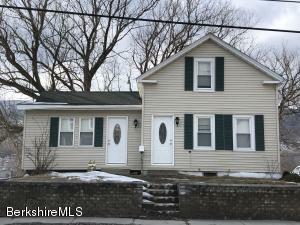 Very nicely remodeled home offering an oak kitchen with appliances, recent bath with laundry, living room, first floor den/office, large entry. 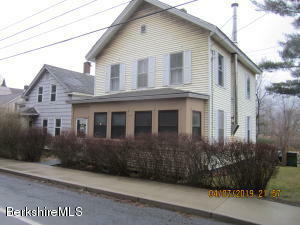 Two bedrooms upstairs, replacement windows, recent Weil-McLain Gold gas boiler, freshly painted throughout. Fenced yard. Move in ready! Three minute drive to BMC, downtown offices. 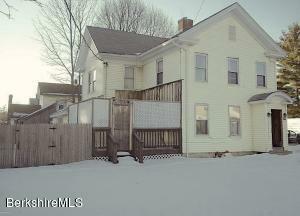 Spacious three bedroom colonial style home located just outside of downtown. Fenced in back yard and close to a local park. This home features shared dining/living room space, 1.5 bathrooms, 200 electrical service, and hardwood floors throughout. HUD Home. LBP. Sold ''AS IS'' by elec. bid only. Prop avail 3-21-19. Bids due by 3-30-19 11:59 PM Central Time then daily until sold. FHA Case #251-320527. Insured w Escrow Rpr. Eligible for FHA 203K. 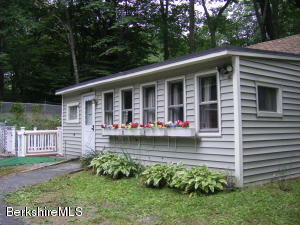 For Prop conditions, Forms, Discl & Avail please visit www.HUDHomestore.com. For additional forms, updates, step-by-step videos & free photo list, please visit www.BLBResources.com.BLB Resources makes no warranty as to condition of property. Buyer to verify all info. 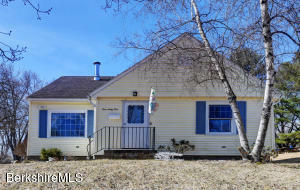 Two family home located on a spacious lot. 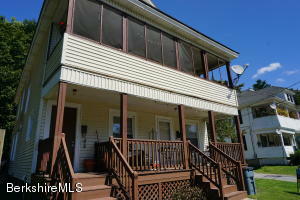 First floor apartment boasts 2BR, living room, large kitchen & front porch. Nice size lot with over sized privacy fence, storage barn & large 9 bay garage with opportunity for rental income. Property is a great investment opportunity. 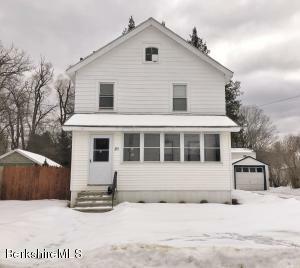 Two family flat in very good condition throughout, spacious apartments, new roof 2018, walking distance to shopping, restaurants, Berkshire Medical Center, religious facilities and more. Berkshire Living, with views of Mt. Greylock! 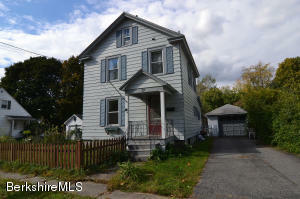 Cozy cape with hardwood floors, large kitchen, 1st floor laundry. Spacious bedrooms on the 2nd floor, one with skylight & cedar closet. MAKE YOUR MOVE! Incredible opportunity to own this spacious 2-family investment or owner occupied home that's just a hop, skip and a jump from downtown North Adams where you'll find lots of casual and fine dining establishments, the world renowned Mass Museum of Contemporary Art, Mass College of Liberal Arts, and a host of other attractions and unique shops!Property includes 2-car garage, pressure treated wood fenced yard and 2nd unit deck/egress and it's all on a large double lot! Awesome views and privacy galore! Ranch nestled in the resort area of Hancock, just a few miles from Jiminy Peak Ski Resort and minutes to the Clark Art, Mass MoCa, Tanglewood, shopping, and many of Berkshire County's Cultural attractions. Insulated in 2017, New Furnace Jan 2018, newer roof, siding, & hot water heater. 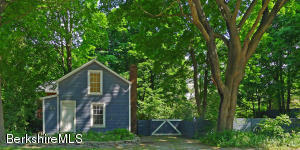 Perfect Berkshire Ski getaway, year round living, seasonal rental, investment, or vacation home. 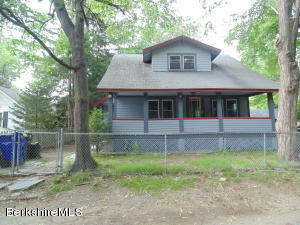 Charming little home on almost a half acre lot in the Southeast! A Gardeners dream! Located on a quiet dead end street. 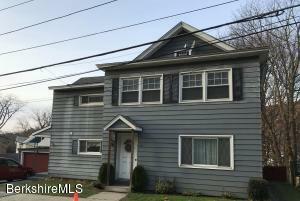 Side hall Colonial with a half bath on the first floor, wood floors throuhout and a spacious, updated kitchen with granite countertops. Second floor has two bedrooms and a full bath. Enjoy your huge, private yard that's fully fenced in while only being minutes to town. 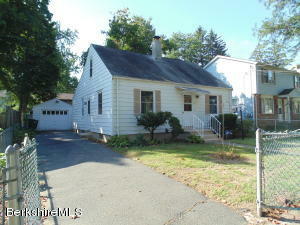 Move Right in and Enjoy this Wonderfully, Spacious, Newly Renovated Colonial, 3 BR, 1 Bath, 1,470 sq. ft., Front & Back Porches, Roof Approx. 5 yrs. 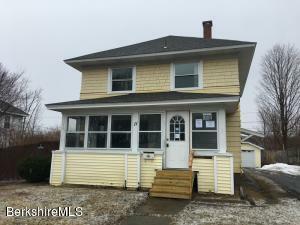 old, Gas Heat, Vinyl Windows, Newly Renovated Kitchen, New Appliances, New Flooring & Freshly Painted Through out, New Lighting & Ceiling Fans, Updated Full Bath, Large Attic, Detached Garage, Deck, Shed & Private Fenced Yard. 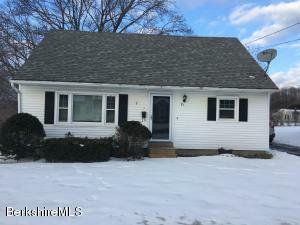 1947 Cape style home with added back sun room and fenced rear yard. Slider from sun room to rear deck. No appliances stay. Natural gas baseboard hot water heat. Natural gas on demand hot water (Navien). Great location off Dalton Avenue!! 1807 side hall on the National Register of Historic Places. Fully restored and updated. Original beams and floors. 1 bedroom. 1 bath. Private fenced yard. Studio. Mature trees. Hand-laid stone wall. 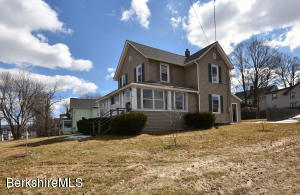 South Pittsfield 2 family home. Located on the end of the street, large fenced side yard, with custom built deck, fire pit and over 250' of river frontage. 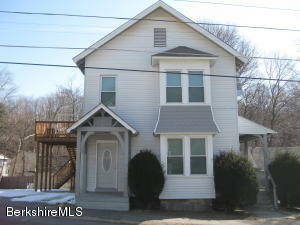 Easy access to South Street, downtown Pittsfield and points south. Units are in good condition, newer boilers, plenty of off-street parking. Tenants pay their own utilities. There is a good opportunity for owner occupancy. 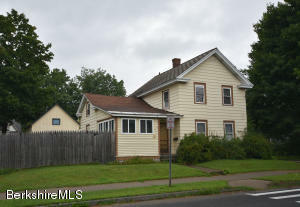 Lovely 3 bedroom 1.5 bath Dutch Colonial on a corner lot. Original hardwood floors and wood trim throughout. Large open kitchen with lots of natural light. Front porch and backyard patio with fenced, landscaped yard. One car detached garage with large overhead attic. Driveway on New York Avenue. 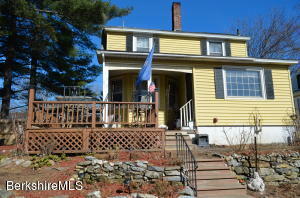 Move in condition cape style home in central location, short drive to Berkshire Medical Center. Hardwood floors throughout the home. High efficiency heating system and recently fenced in rear yard. 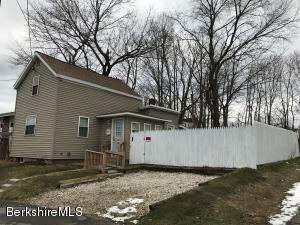 Three bedroom/one and a half bath. 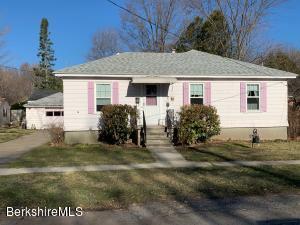 This nice 3 bedroom, one and a half bath has been completely gone through. Entire electrical system was replaced and brought up to code. New gas furnace and hot water heater installed. Updated kitchen and baths. First floor laundry setup. Brand new energy star windows and doors installed. Has a nice private backyard for your family gatherings and a covered front porch for those rainy days your stuck inside to relax in comfort. Functional fireplace in the dining area waiting for your gas, pellet or wood stove insert! Off street parking and close to everything you need in town. Storage you ask? Why yes, sporting a large attic and a freshly poured concrete floor in the basement your storage is waiting for your valuables!